HALDER P, HAVU-NUUTINEN S, PIETARINEN J AND PELKONEN P. 2011. Bio-energy and youth: Analyzing the role of school, home, and media from the future policy perspectives. Applied Energy 88: 1233–1240. The study investigated the relationships between students’ perceived information on bio-energy from school, home and media and their perceptions, attitudes, and knowledge regarding bio-energy. The study also analyzed the scope of future policies to raise awareness among young students about bio-energy. Data drawn from 495 Finnish students studying in ninth grade revealed that the students were more positive in their attitudes towards bio-energy compared to their perceptions of it. They were very positive about learning about bio-energy, while not so eager towards its utilization. It appeared that school, home, and media all had statistically significant effects on students’ perceptions, attitudes, and level of knowledge related to bio-energy. 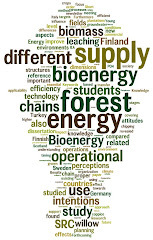 Three principal components emerged from students’ perceptions and attitudes towards bio-energy viz. ‘motivation’ revealing students’ eagerness to know more about bio-energy; ‘considering sustainability’ revealing their criticality of forest bio-energy; and ‘utilization’ revealing their state of interests to use bio-energy. Bio-energy policies to be effective must consider the role of school, home, and media as important means to engage young students in bio-energy related discussions. It is also desirable to establish interactions between energy and educational policies to integrate the modern renewable energy concepts in the school curriculum.